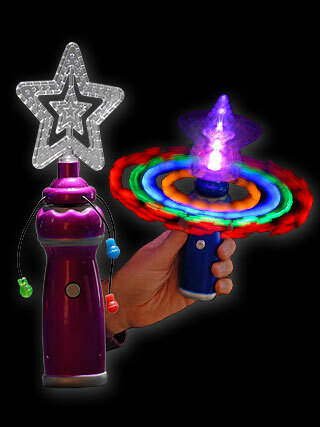 Mega spinning light, with handle color blue and pink. 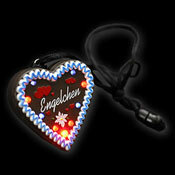 Attached star and heart made of transparent plastic and illuminated with LEDs. Including 3 x 1,5 Volt Micro batteries. 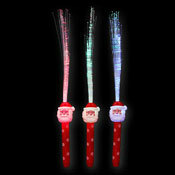 Rainbow Magic Stick with Santa Claus figure on top. 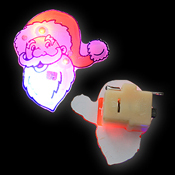 6 different flashing and blinking modes.